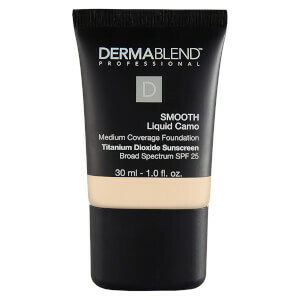 Achieve superior coverage with the Dermablend Leg and Body Makeup SPF 25; the #1 foundation exclusively made for the body* that is able to cover tattoos, varicose veins, stretch marks and scars. Utilizing high-performance pigments, the blendable liquid body makeup offers extremely high coverage, whilst still delivering a natural-looking finish. 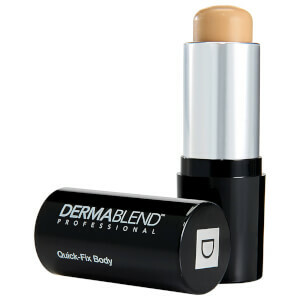 The lightweight makeup glides onto skin and effortlessly covers an array of imperfections due to its buildable formula. Not only concealing skin, the makeup can be used to contour and enhance the body. 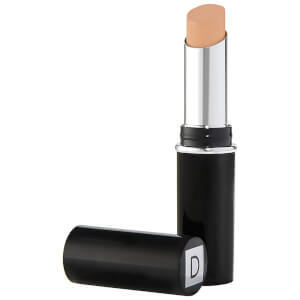 Ultra-longwearing and comfortable, the transfer-resistant foundation boasts a hydrating formula that maintains skin’s healthy moisture levels and keeps it protected. The silky solution is both smudge and transfer resistant, which ensures long lasting coverage with the benefits of SPF 25. Arriving in an array of true-to-tone, fade-proof hues, Dermablend’s Leg and Body Makeup is suited to all skin tones and skin types. Expect exceptional coverage with up to 16 hours** of comfortable wear. Vegan formula: No animal derived ingredients or by-products. Dermatologist, allergy and sensitive skin tested. Non-comedogenic and non-acnegenic. Free from phthalates, triclosan and SLS. *Source: The NPD Group/ U.S. Prestige Beauty Total Measured Market, Makeup Sales, January-September 2018. 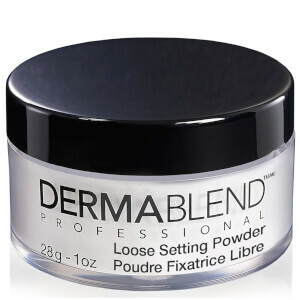 **When set with Dermablend Setting Powder. For tips on how to find the perfect shade, click here. Use long strokes to apply. For more coverage, use a dabbing motion and allow makeup to dry before adding additional layers. For 16 hours of wear, apply generous amount of setting powder and leave on for 2-5 minutes; buff off. Use a body blender sponge to fully blend all edges. Water, Cyclopentasiloxane, Isododecane, Isononyl Isononanoate, Glycerin, Cetyl PEG/PPG-10/1 Dimethicone, Dimethicone, Magnesium Sulfate, Polyglyceryl-4 Isostearate, Dimethicone/PEG-10/15 Crosspolymer, Disodium Stearoyl Glutamate, Disteardimonium Hectorite, Phenoxyethanol, Polybutene, Methylparaben, Alcohol Denat., Chlorphenesin, Acrylonitrile/Methyl Methacrylate/Vinylidene Chloride, Copolymer, Butylparaben, Aluminum Hydroxide, Sodium Hyaluronate, Isobutane, Dipropylene Glycol, Sodium Citrate, Tocopherol, Pentaerythrityl Tetra-Di-T-Butyl Hydroxyhydrocinnamate; May Contain Titanium Dioxide, Iron Oxides.